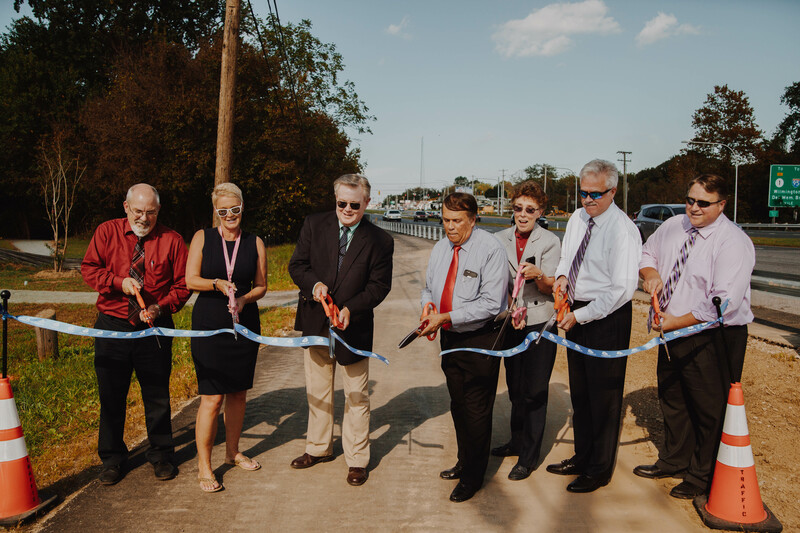 The Delaware Department of Transportation (DelDOT) and local leaders cut the ribbon on the Brecknock Connector Trail in Camden on Wednesday, October 3, 2018. The project not only created a path between existing trails in Brecknock Park and the POW/MIA Parkway, it also brought an existing pedestrian bridge along Route 13 up to Americans with Disabilities Act Standards. George & Lynch, a Dover-based contractor, constructed the trail at a cost of $666,000. Eighty percent of the project’s costs were from the federal Congestion Mitigation and Air Quality Improvement Program.